Car Won't Blow Hot Air, Why? 1 Do you have enough coolant in your car? 2 Do you have a broken thermostat? 3 Is the flow of water blocked by dirt or air? 4 Are the heat controls in your car broken? 5 Are there any water leaks? 6 Is the blower working? Even when it’s cold outside, your car heater can provide warmth. Things definitely get cold quickly when your car won’t blow hot air. Hot coolant circulating through the engine is what supplies the hot air. When cold air from outside or from the inside of your car goes through the heater core, you get hot air inside your car when you need it. When this process is blocked or disrupted, your car won’t blow heat. Do you have enough coolant in your car? The heat from the coolant circulating around your car is what provides the heat that the heater uses. Your coolant should be a mixture of antifreeze and water. Since the heater is higher up in the engine, it is one of the last parts to receive the coolant. If the inside of your car is not heating up, the first thing you want to do is check the coolant. The tank is located under the hood of your car, just to one side of the radiator above a wheel. Ask a friend, or take it to a mechanic shop if you are uncertain. Do you have a broken thermostat? Your thermostat dictates whether the water needs to circulate around your engine. If it is stuck, the water may never circulate, causing it to stay cool. Once you have checked coolant levels and know that they are good, the next thing to check is your thermostat. You do this by watching the dials inside your car as the engine runs. Make sure you wait for about 10 minutes so that the water has adequate time to warm up, and then check the thermostat dial. If the dial continues to stay on the cold, then you need to replace the thermostat. Is the flow of water blocked by dirt or air? Sometimes car won't blow hot air even with a functional thermostat and water in the system. Your car will not provide interior heat if the coolant is not allowed to flow properly. This is an easy fix once you find the bleed port or bleed screw after the fan kicks on while the engine is running. Turn it anti-clockwise with a screwdriver. You will hear a hiss when the air releases. Are the heat controls in your car broken? It may be possible that the heater controls are stuck or broken. You can easily fix this on your own or ask a friend. The valve is located by the firewall. Once you have located the valve, you can remove the cable and move the valve manually. If this is still working, then check the heater hoses for heat. If one is not warm, you may need to replace the heater core; you may want to ask for help to fix this. Are there any water leaks? When an engine loses water (coolant), it can create a larger problem of overheating your engine causing it to “burn out.” Before the engine “burns out,” the car won’t blow hot air. It can be tough to find a leak because even the smallest leak can cause problems. One way to check is to ensure your coolant tank is full and let your car run until it is nice and warm. Once the car has run for about 15 minutes, open the hood and look for any water that is escaping from any of the hoses. There are products you can purchase, such as repair bandages that will stop the leaks. However, these are only temporary, you will need to replace the hose yourself or take it to a mechanic. Sometimes the heat may be working, but the blower is not circulating the air. This can easily be fixed by replacing a blown fuse, power relay, or tightening loose wires. If it is a blown fuse, it is important that you find out why it blew. A few protects from electrical overload; there may be another problem that needs to be repaired before you replace the fuse. Mechanics agree that the best way to keep your car heater working properly is to have it checked on a regular basis. Either check the coolant levels and other heating components on a regular schedule, or have a mechanic do it for you. It is also important to know that newer cars may not need to be serviced until they reach between 60,000 and 100,000 miles; if your car won’t blow hot air and you have a newer car, it is vital that you take it into a mechanic as there may be another cause. 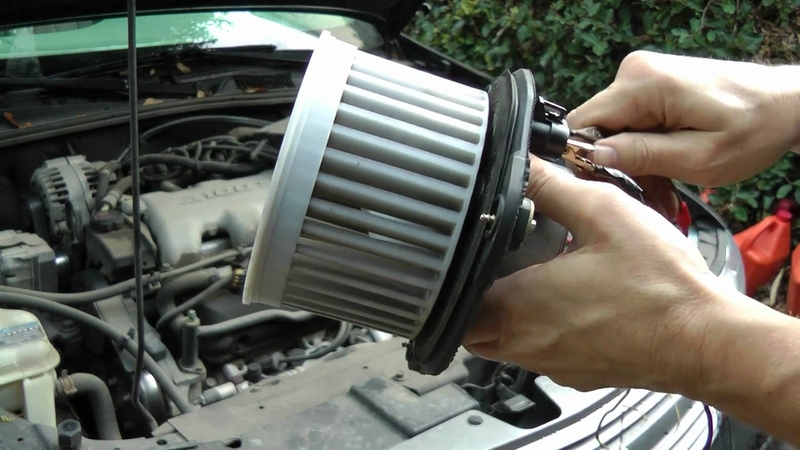 Properly caring for your car’s cooling system will prevent heater failure. Regularly check hoses, belts, fluids, and airways in your car’s engine. Server responsed at: 04/25/2019 12:32 p.m.